Tella Kpomahou ran away from Abidjan to Paris with one sole desire: to act. Leading film credits include Les oiseaux du ciel (Birds of the Sky) by Eliane de latour, screened at the Berlinale 2009, and Il va pleuvoir sur Conakry (Rain over Conakry) by Cheick Fantamady Camara. She is a powerful stage actress, recently seen in the highly-reviewed Ticket at Ariane Mnouchkine's Cartoucherie theatre. Other theatre credits include Jean Genet's Les Nègres also originated at the Cartoucherie (2006-7), Benjamin Jules Rosette's La tragédie du roi Christophe in Montreuil (2006) and Marivaux's La Dispute, directed by Sandra Honoré in 2003. Television work includes Etat de Grâce (State of Grace) on France 2 in 2006 and Diane Femmem, cop, for TF1. 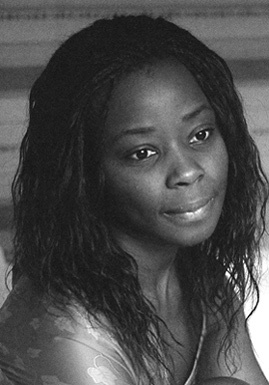 Desire is Tella Kpomahou's first English-speaking film role.